Resource: Okinawa Hai! | What can I do with a B.A. in Japanese Studies? Okinawa Hai! is one of a series of websites aimed, primarily, at helping US military families settle in, find their way around, and otherwise make the most of life in Okinawa, Germany, Korea, or Turkey, with the tagline “Helping you go from ‘Overseas? Yikes!’ to ‘Overseas? Yes!’.” That said, a great many of the posts can apply to the rest of us as well. Those I have personally found most helpful are guides to local restaurants & other establishments, and to historical sites and other tourist sites, as well as monthly guides to local events. 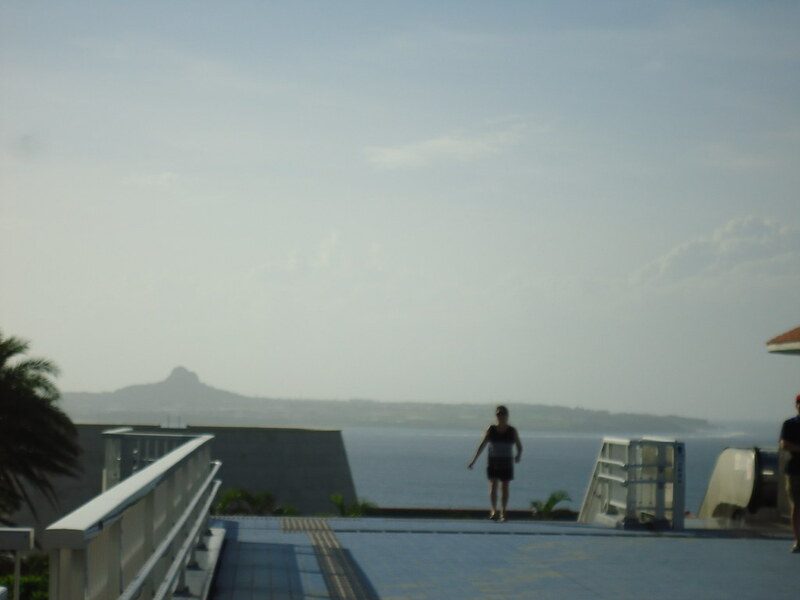 As I write this, some of the most recent posts include a guide to July 2016 local events, one on Aeon Shopping Mall, and one on visiting Cape Hedo. 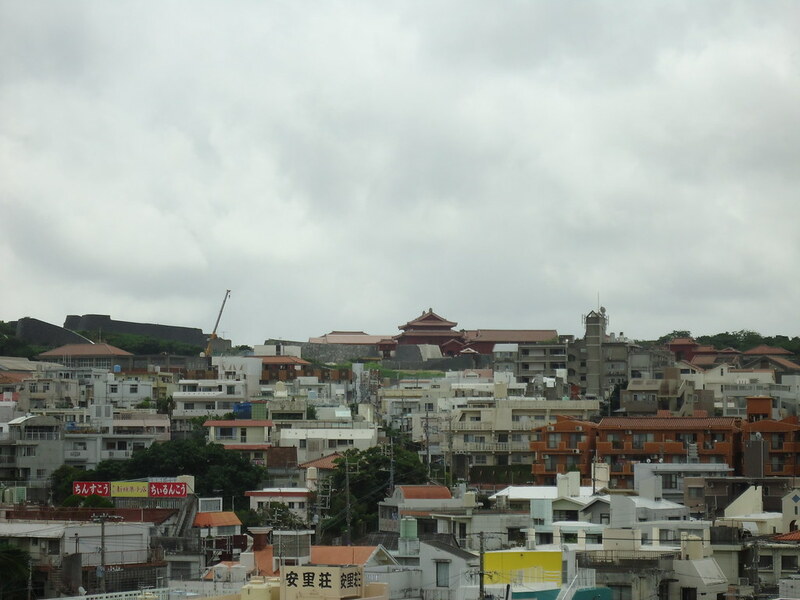 Again, many of these are written from the viewpoint of assuming that one is living not in Naha, but in some other part of the island, with driving directions often beginning at the gates of one of the bases. Similarly, looking through their posts about looking for housing, I was a bit surprised and disappointed to find no blog posts for Naha at all; of course, most of these posts are going to be aimed at whole families on a military income, and not for the single grad student on a limited budget looking for a small apartment, but even so, if you’re an ethnographer coming to Okinawa with your whole family, you may find their “off-base housing” posts for Okinawa City, Gushikawa and Uruma, Yomitan, Chatan, etc. helpful. There is also a nice, lengthy post for getting started, which links to other posts on moving, finding housing, setting up phone and internet, renting a car, getting an international or Japanese driver’s license, finding a place of worship, finding things to do with the kids, and so on and so forth. There are also a number of related posts on the basic logistics of living in Japan which I think may be of more general relevance for our Shinpai Deshou readers, including posts on paying bills in Japan, moving on-island within Okinawa Island, how to clean your Japanese air conditioner, how to know which kind of milk you’re buying, a comment thread on gluten free resources, and a whole category of posts on mobiles, landline phone, and internet services. Along similar lines, Okinawa Hai! has countless helpful posts about everyday life-on-the-island sort of things, from information on preschools and childcare and kids’ activities, to reviews/listings of dental, vision, and other healthcare clinics, to stuff about buying/renting a car, car repair, highways & toll roads, etc..
There’s also a very brief blog post on attending university in Okinawa, which simply lists a few of the international universities available. But, I found this post quite useful as it keyed me in to the fact that LeoPalace21, the Japan-wide chain of apartment buildings, has an English website, and month-to-month contracts with no guarantor. I’m not sure about key money or other concerns, but it definitely seems a good place to start. 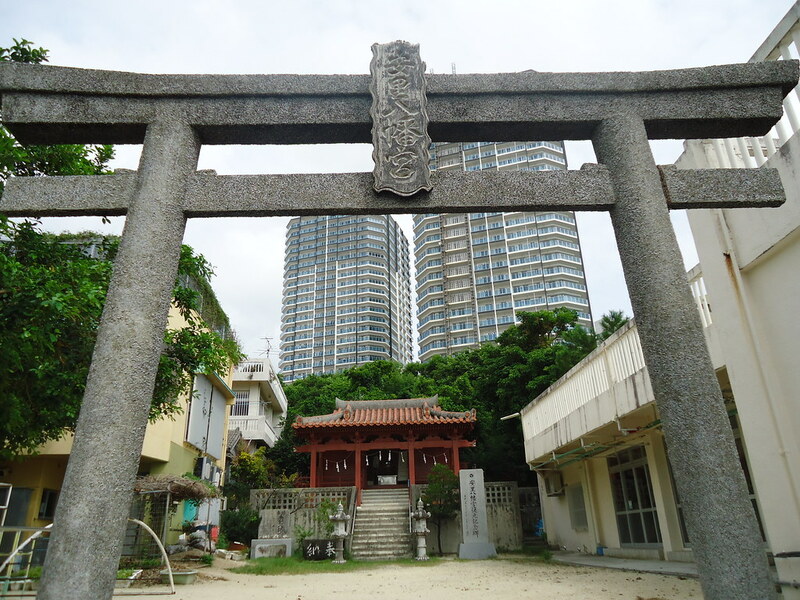 Asato Hachimangû, one of the Ryûkyû Eight Shrines, tucked away back in a Naha residential neighborhood, but just a few blocks walk from the Prefectural Museum. Given that it’s in Naha, I’m somehow not too surprised that Okinawa Hai! doesn’t have a review of it (yet). Maybe I’ll write and submit one. Next, let me come back around to the reviews of historical sites, tourist destinations, restaurants, and so forth. Much of what’s listed here is very basic tourist stuff, and family-friendly; but there’s a lot, too, that’s more keyed in to the history and culture, and I’ve found Okinawa Hai! posts quite helpful in terms of telling me how to get to Futenma Shrine and what to expect to see there; and similarly for many other temples, shrines, gusuku, and other historical sites. These not only provide photos and basic narratives of what to see and do at each site, but are also quite good on the basic information: entry fee, street address, embedded Google Map of the location, hours, etc. They also have more than 500 listings of restaurants, cafés, and the like; more than just listings, these are often full narratives of individuals’ experiences with the restaurant, including photos, and I definitely plan to make use of these reviews to help me find cool places while I’m on-island. Iejima, visible in the distance from Churaumi Aquarium at Motobu. All photos my own. Thanks to Okinawa Hai! for permission to use their header banner. This entry was posted in blogs, culture, housing, living abroad, military service, useful links and tagged life in Japan, Okinawa, resources, travel, US military. Bookmark the permalink.